Paris Biennale 2016 sneak peek! 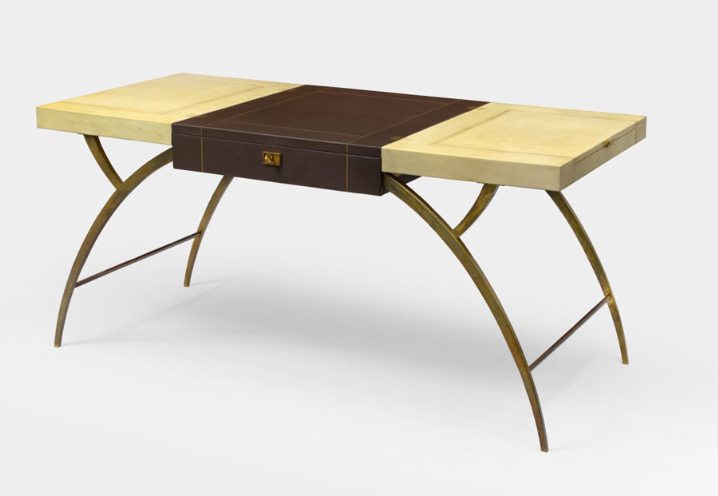 Desk (c1957) in wood, parchment and bronze by Marc du Plantier. Galerie Jacques Lacoste, Paris. The 2016 Paris Biennale opens next week (10-18 September). This year there are 125 participating galleries (showing Fine and Decorative Art along with jewellery), a 36% increase from 2014 as the Biennale has joined forces with Paris Tableau, the international fair specializing in European Old Masters. The Biennale will become a yearly event starting from 2017. Scenography this year is by set designer Natalie Crinière, and we’re particularly looking forward to the special exhibition ‘Tribute to the Mobilier National: Tradition et Audace’. Enjoy these few preview images! 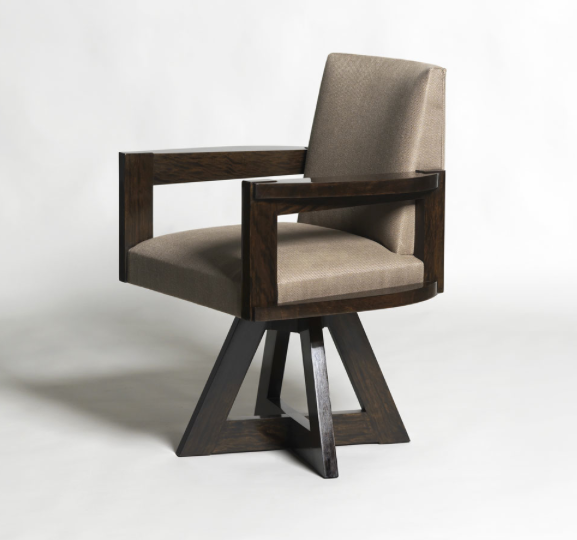 180° Swivel chair (c1934) in solid mahogany by André Sornay. Seat and back upholstered. Galerie Marcelpoil, Paris. Table by André Arbus (c1964). 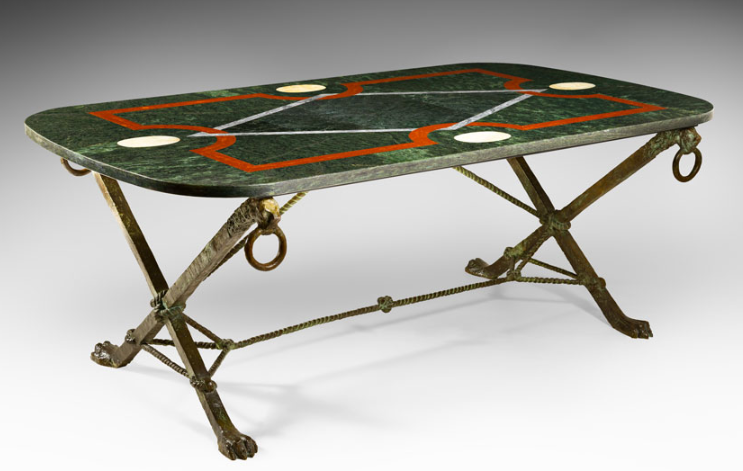 Patinated bronze base and marble marquetry top. Galerie Chastel-Maréchal, Paris. 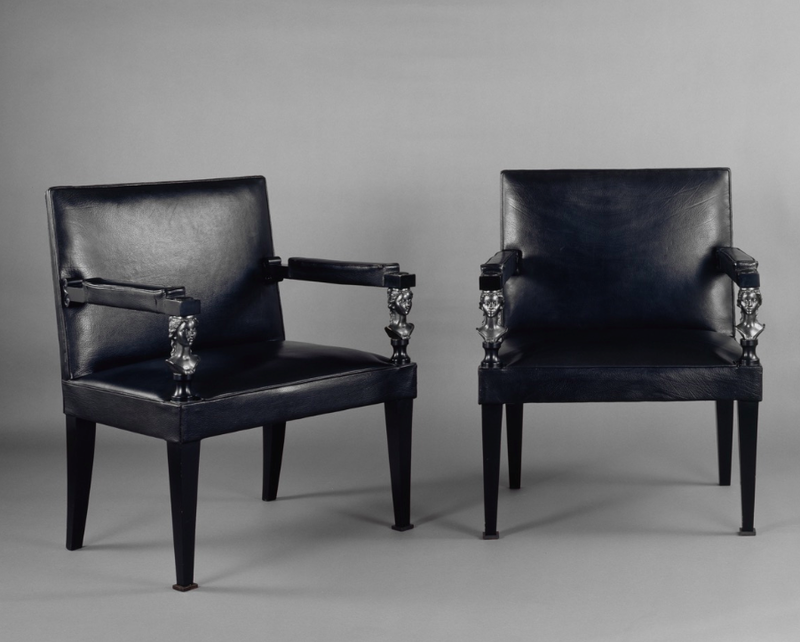 Pair of armchairs (c1949) by André Arbus in black lacquered wood and leather. Female busts in bronze on the armrests by Vadim Androusov. Galerie Yves et Victor Gastou, Paris. 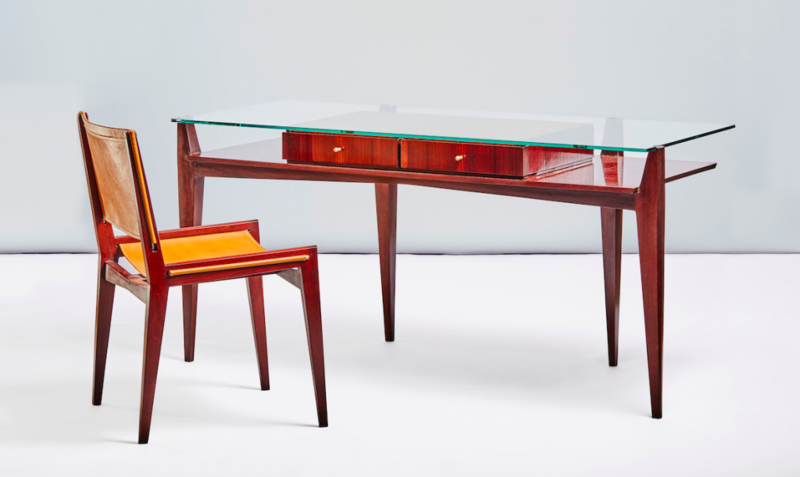 Mahogany and glass desk and chair (c1952) by Maxime Old. This was Mr Old’s personal desk, the model of which was presented at the Salon des Artistes Decorateurs in 1952. Galerie Yves et Victor Gastou, Paris. 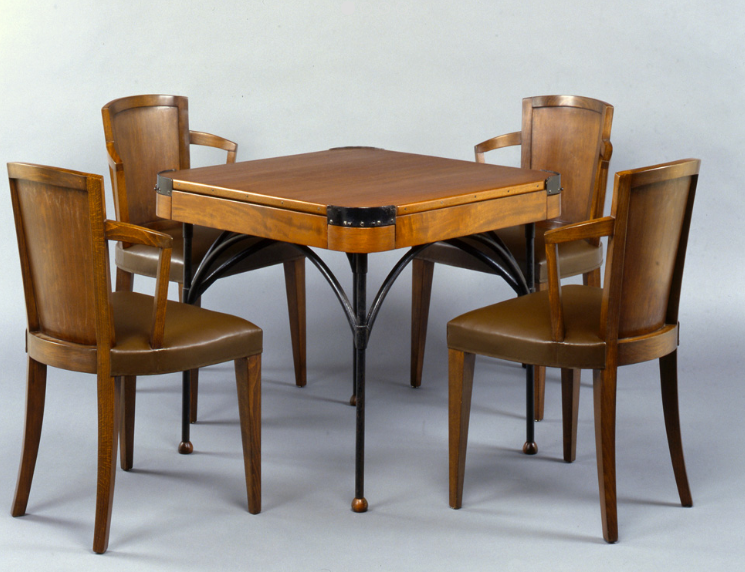 Game table and four chairs (c1923) created for the Grand Hotel de Tours by Pierre Chareau. Mahogany, forged iron, beech, and brown leather. Galerie Doria, Paris. 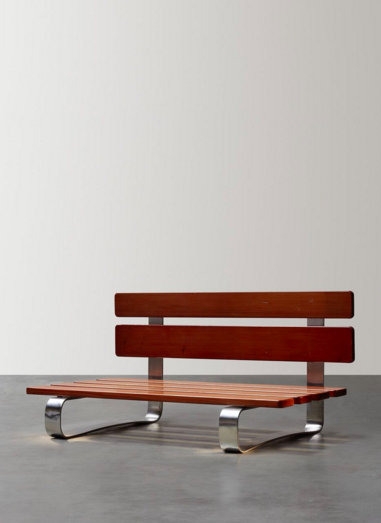 Bench Japon, c 1966, by Charlotte Perriand, Galerie Downtown, Paris. 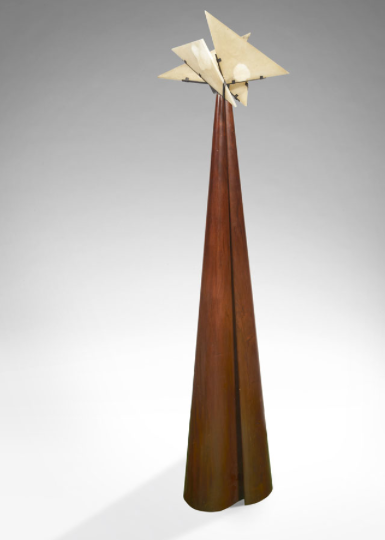 ‘La Religieuse SN31’ standing light by Pierre Chareau. The model was created in 1923, this light was made in 1928. Galerie Marcilhac, Paris.